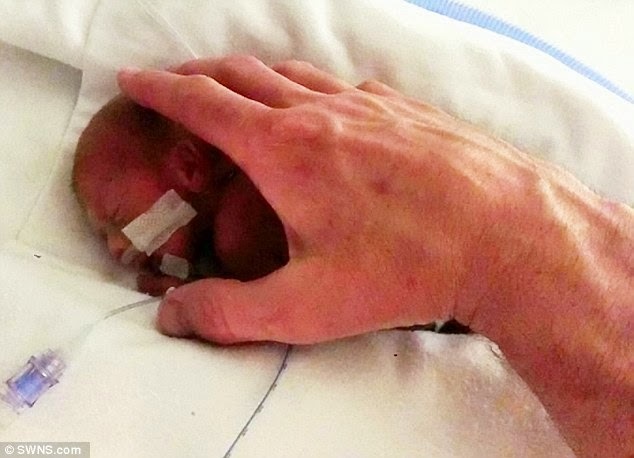 He was born weighing less than a bag of sugar and smaller than his father's hand. 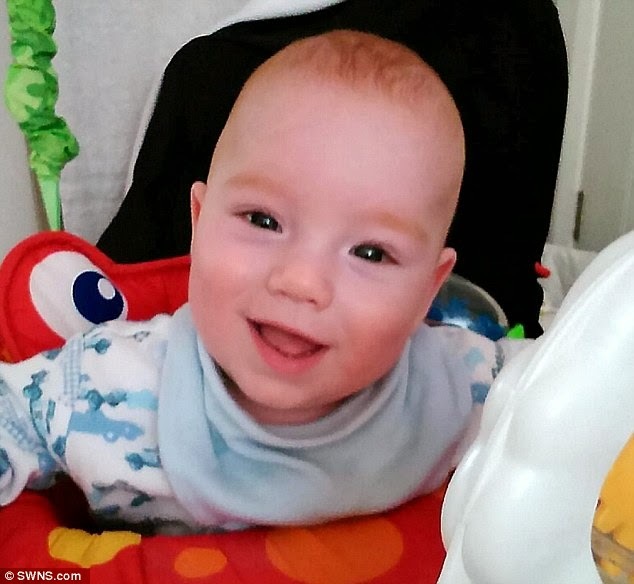 But Jett Morris' parents were simply relieved he was alive, having been told he would never survive and they should abort him. 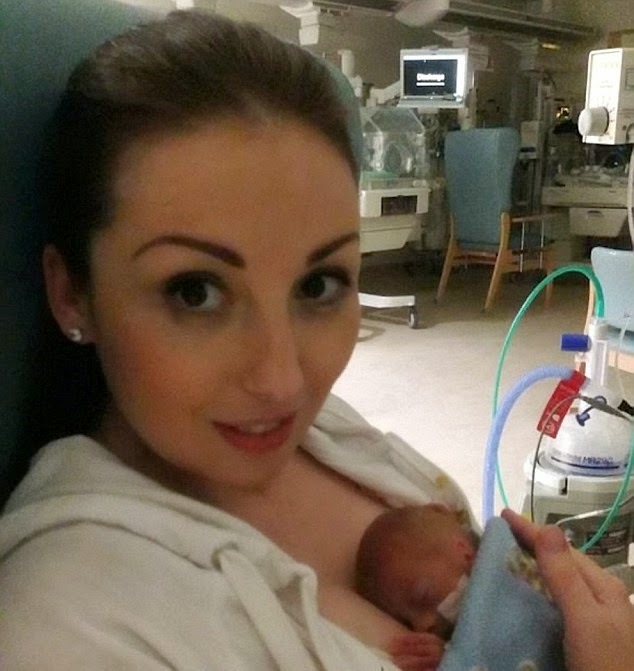 When his mother Mhairi's waters broke at just 20 weeks, doctors advised the pregnancy was non-viable and prepared her for a termination. 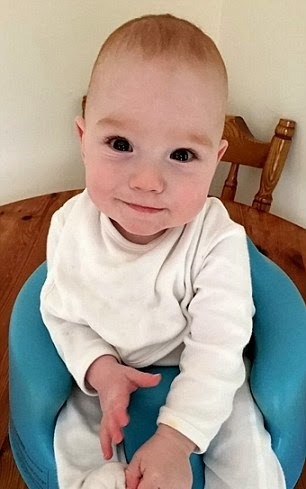 But she and husband Paul defied doctors' advice and says had it not been for their determination, Jett who is thriving and recently celebrated his first birthday would not be here today. 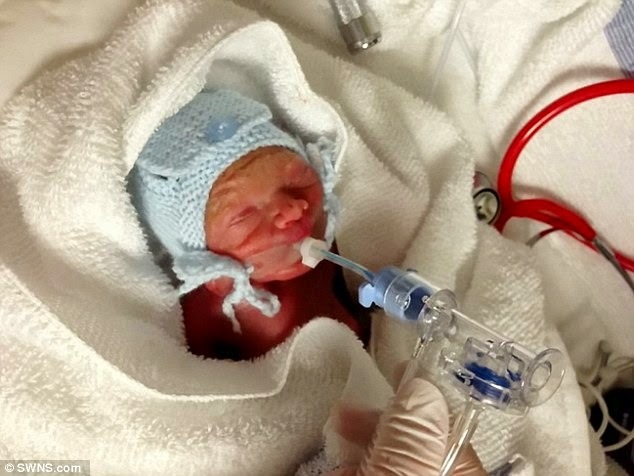 Jett was born prematurely at 25 weeks weighing just 1.4lbs, having survived for five weeks in the womb after his mother's waters broke. But his parents say that before this, they were constantly pressured by medics to end the pregnancy. 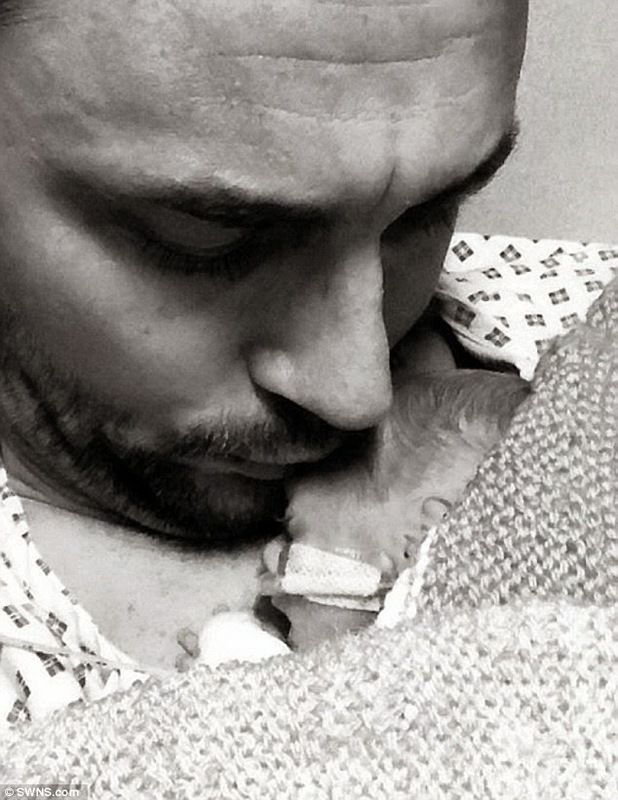 'They didn't see him as a child yet, they just called him a 'non-viable foetus'. It was cold and I was devastated, but I am glad he is here,' the 34-year old mom said.